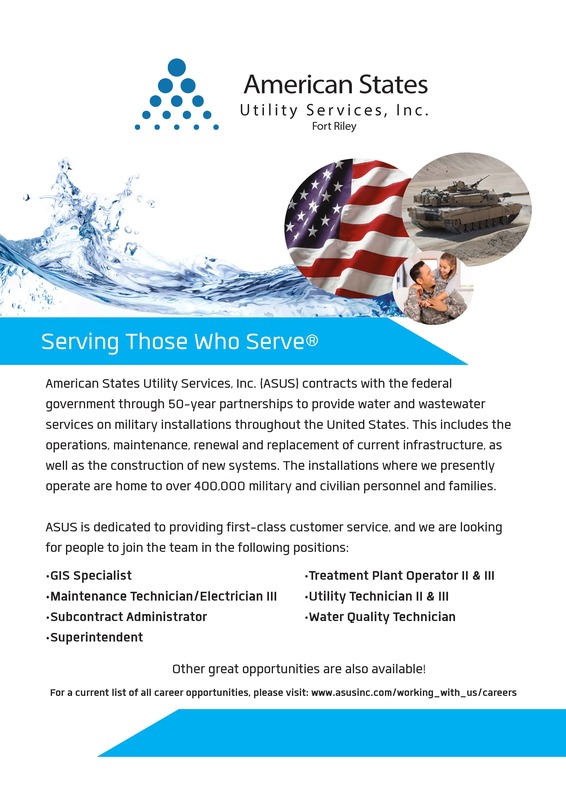 ASUS is hiring at Fort Riley! Come and see us to learn about these opportunities and what it's like to work at ASUS. We hope to see you there! © Copyright 2017 American States Utility Services, Inc. All rights reserved.